Which Is the Canadian Pr Category Which Is Easier to Avail: Canada Experience Class or Federal Skilled Workers? The ease with which these visas can be obtained depends on the qualifications of the candidate. Canadian experience class Express Entry is meant for those categories of candidates who have experience in this country for a period of 12 months. It can be for a higher duration also. Without this experience, you can’t qualify under this category. However, to qualify for this class, there is not a requirement of scoring minimum points as in the case of Federal Skilled Worker Canada program. This class of visa requires the candidate to get at least 67 points which are awarded under the relevant categories of age, years of experience and relevant education. This category is tougher to qualify for since most of the candidates apply for this visa. Under the situation, if a candidate is eligible for both the categories of this visa, he will be provided the visa under the CEC category. The best part, about the Canadian experience class express entry, is that since the government can easily cross-check your experience from a Canadian employer, it’s more easier for immigration. Its also an expedited process because getting the experience checked is a simple process. There are other simplified steps involved in this process also which include no evidence of funds are required to be shown by the interested Canadian experience class express entry client. The government of Canada requires evidence of a substantial funds amount in the bank account of the immigration seeker. This requirement is eliminated in case the candidate does have work experience in Canada. So, the candidate has it pretty simple for him to get approval under the CEC. Next simplification for a candidate of Canadian experience class express entry is that he does not need to get an Educational credential assessment done. Apart from that his work experience held outside Canada does not matter. The biggest difference between getting the PR visa through the CEC route is that you don’t have to make the extra effort to adjust in Canada. You get a job prior to getting the express entry visa. On the other hand, if you get a PR through the Federal Skilled Worker Canada program, you may or may not have a job offer in Canada at the time of getting the visa. So, this ensures that when you get the visa without a job, you look for a job after the visa. At that time, since you already have the PR, the employer does not need to get an LMIA done for you. If the candidate is applying under the Federal Skilled Worker Canada Program and gets the job prior to his PR application getting approved, then his chances of getting the PR are maximized because he gets to receive almost 600 points for his employment. The candidate should know his own weaknesses before applying for the program. It’s also not mandatory for a candidate to get some experience in Canada before applying for the Canada experience class. Its because its tough for an employer to get an employee who does not have a PR because, in that situation, LMIA (Labor Market Impact Assessment) is necessary which proves costly for the employer. So, it’s better to apply for PR under the federal skilled worker Canada program and simultaneously apply for a job in Canada by getting his registration done necessarily with the Canadian Job Bank. 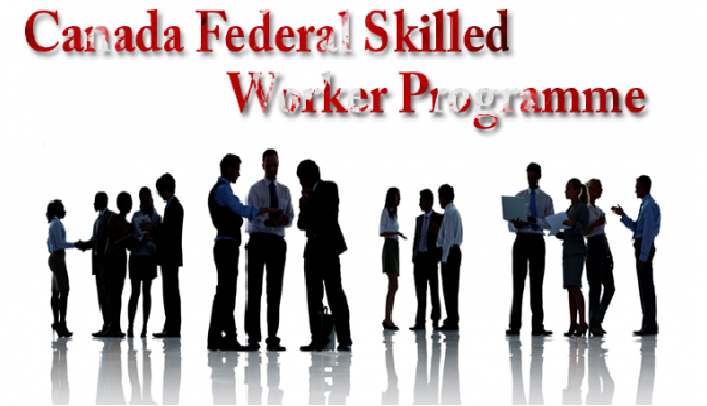 What is the procedure for the federal skilled worker's program? Federal Skilled Worker Canada Canadian experience class Express Entry, Federal Skilled Worker Canada. permalink.